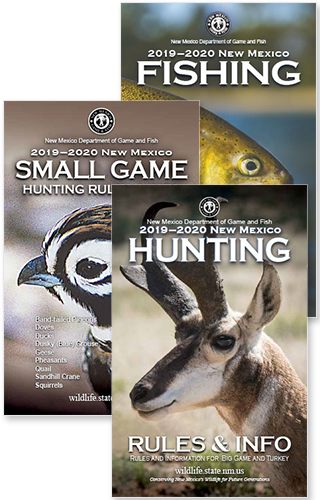 SANTA FE – Gwynn Tank, located in the Gila National Forest in Western New Mexico, received its first batch of 203, 10-inch Gila trout. Releasing this batch of Gila trout into Gwynn Tank was over a year in the making. In April 2017, a team of biologists set out on the first successful mission to collect wild Gila trout eggs. According to Wick, the team caught Gila trout in Willow Creek in the Gila National Forest, those eggs were taken to and raised at the Glenwood State Fish Hatchery. 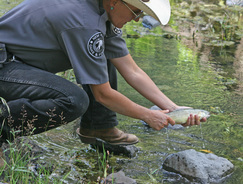 The Gila trout released into Gwynn Tank provide a new recreational opportunity for anglers. Bag limits for trout in Gwynn Tank are five fish per day and no more than 10 in possession. All anglers ages 12 and older must have a fishing license and appropriate stamps and validations.